It was definitely an eventful weekend for Polish footballers honing their craft around the world. A certain first-class striker continues to accumulate accolades, while others are starting to accumulate meaningful minutes for their respective clubs. Let’s take a closer look at who left their mark this past weekend. 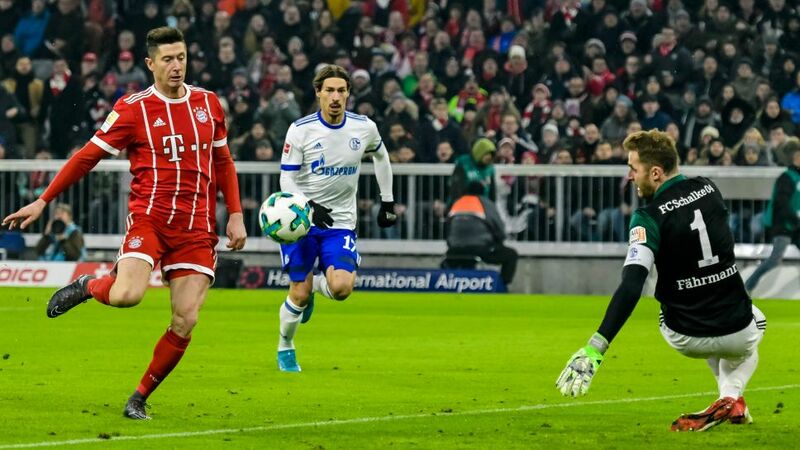 Robert Lewandowski had a weekend to remember. For a remarkable seventh consecutive season, the 29-year old striker received the prestigious Piłka Nożna’s Polish Footballer of the Year award. His female counterpart, Katarzyna Kiedrzynek, received the same honor for an equally impressive third straight year. The fun did not end there for Lewandowski. Hypothetically, Friday’s match in Florence between home side Fiorentina and Juventus had the potential to be compelling for Polish football fans. National team incumbent, Wojciech Szczesny, would take on the of Polish goalkeeping, Bartlomiej Dragowksi. Well, this didn’t happen. Szczesny was, yet again, benched behind the aging Gianluigi Buffon – despite his impressive run of games in December and January. Dragowski took his familiar position on the pine and has yet to make a Serie A appearance this season. Although Szczesny versus Dragowski did not materialize this past weekend, Polish fans were given a reasonable consolation prize: Adrian Mierzejewski versus Marcin Budzinksi. As has been the case for the majority of the season, Mierzejewski’s Sydney FC side was victorious and the 31-year old journeyman was an integral in the result. This time it was a 4:0 dismantling of Budzinski’s Melbourne City side. Mierzewjewski managed to just make just enough contact to notch his 10th goal of the season. He has been a model of consistency this season and is making a serious case to get a National team call-up. Glik to Leave Monaco For a Return to Italy?